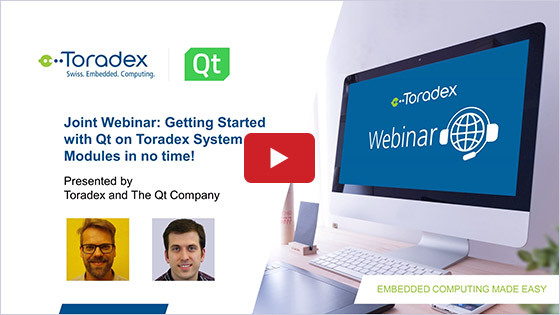 During this joint webinar by Toradex, a leading supplier of industrial-grade Arm® based Computer on Modules (CoMs) and The Qt Company, which is a leading GUI framework, you will learn how to develop interesting applications with QML based on the Toradex Arm platform. QML is a user interface markup language which is from QtQuick, and is the main programming language for Qt, it has the advantage of clear grammar and ease of learning. Combined with basic QML modules and controls from QtQuick, one can realize a better user experience GUI with exciting animation and visual efforts. 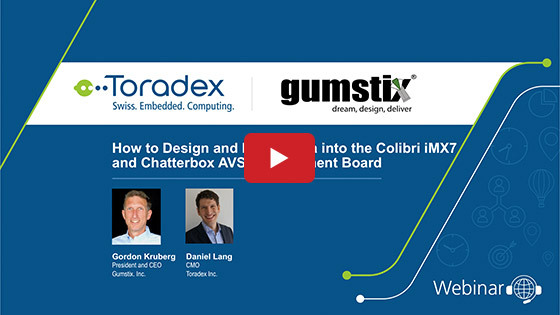 When based on an embedded platform, it can be even better through its powerful hardware graphics unit (GPU) acceleration. 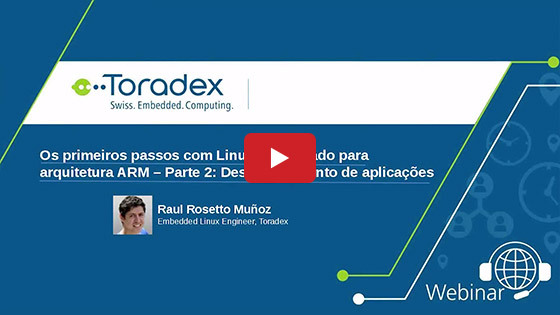 Based on embedded hardware from Toradex, we will introduce QML, and take you through how to use it, provide hands-on experience on developing an embedded GUI application ranging from being simple to complex. Using QML lets Qt developers control the hardware instead of being daunted, and enjoy Qt in an embedded platform!